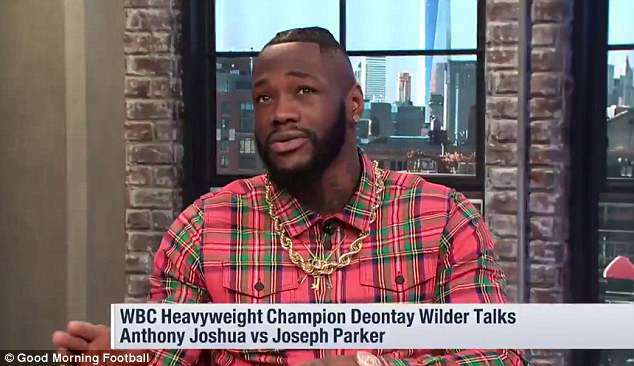 Wilder: to show up for Joshua-Parker showdown? Deontay Wilder was planning on attending Anthony Joshua‘s fight so he could look the heavyweight into his eyes and tell him he’d knock him out. Wilder has repeatedly called out Joshua, telling the British boxer to stop ducking him and comparing him to ‘a cow’ because of how he is milked by promoter Eddie Hearn. The pair look set to meet in the ring should Joshua overcome Joshua Parker on Saturday night at Cardiff’s Principality Stadium. And Wilder has revealed he was initially set to attend the Joshua vs Parker fight after agreeing on a set of specific conditions with Sky Sports, only for the broadcasters to pull the plug on the arrangements. ‘I’m not making the trip now. I was looking forward to it,’ Wilder said during an interview with Good Morning Football. 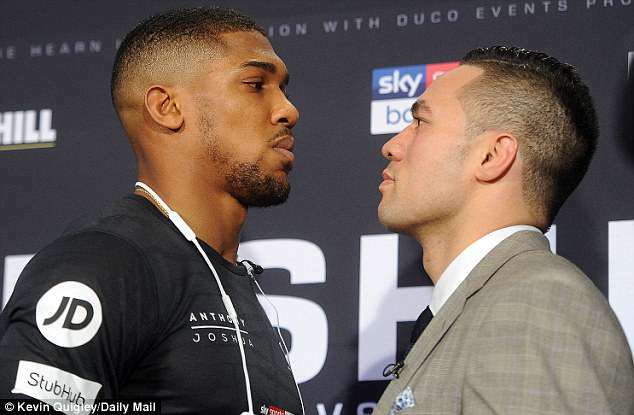 ‘Sky Sports hired me to come over and I said I’d come on one condition: If AJ wins then I would get in front of the ring, size him up and tell him I wanted to knock him out. Wilder explained: ‘They said AJ didn’t want it to happen and had hired extra security, I even heard something about a restraining order! 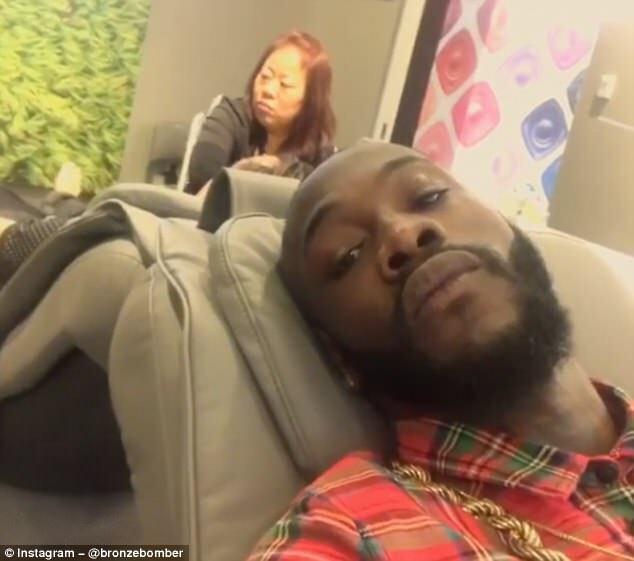 Despite Wilder claiming he wasn’t attending the fight, he later posted a video of himself at an airport while receiving a foot massage. The American didn’t reveal which airport he was in and where he was flying to. Joshua will defend his IBF, IBO and WBA heavyweight titles and his unbeaten record against WBO champion Parker in the Welsh capital. Should Joshua win, promoter Hearn is hoping to sign Wilder to a promotional agreement which could pave the way to the richest heavyweight fight in history.